David Weathers made his big league debut in 1991 as a 20-year-old Toronto Blue Jay right-hander. The native of Lawrenceburg, Tennessee started out as a reliever, switched to starting when he was traded to the Marlins in 1993 and then went back to the bullpen permanently after he pitched poorly in his first four starts with the Yankees three seasons later. In fact, he pitched pretty horribly for New York during both of the regular seasons he wore the pinstripes but he stepped up big time during the 1996 postseason. He got wins in both the ALDS and ALCS that year and pitched a total of eight innings of scoreless ball between the two. Joe Torre then used Weathers in Games 1, 4 and 6 of that year’s World Series against the Braves and he gave up only a single run. Given the fact that Yankee owner George Steinbrenner had publicly criticized the reliever after his poor start in the regular season that year, there’s no doubt Weathers’ fall ball heroics were the only reason he remained in the Yankees’ bullpen plans for 1997. Unfortunately, he got off to an even worse start that year and this time Steinbrenner got his wish. Weathers was traded to the Indians in early June of 1997 for outfielder Chad Curtis. After leaving the Bronx, Weathers just kept pitching and pitching and pitching, going from Cleveland to Cincinnati, to Milwaukee, to the Cubs, back to New York with the Mets, and then return trips to the Reds and Marlins. In all he pitched in over 900 games before his career ended in 2009 and in 2007, his stick-to-it-ness paid off when he was made the Reds closer and saved 33 games. Weathers was born on the very same day as this Hall-of-Fame Yankee shortstop, this former Yankee reliever/pitching coach and also with Robinson Cano’s predecessor as Yankee starting second baseman. What I love about writing this Blog are the things I learn about Yankee history that I didn’t know. Today’s post offers an excellent example of that. If not for a collision at home plate and some bad knees, Joe DiMaggio might never have been a Yankee and today’s Pinstripe Birthday Celebrant, Dixie “The People’s Cherce” Walker would probably have been the guy who replaced him. The collision at home plate took place between Dixie and a Chicago White Sox catcher named Charley Berry during Walker’s 1933 rookie season with the Yankees. Earlier that year, Walker had been knocked down twice in the same game by a Chicago pitcher. After he got up from the ground after the second brushback, Walker told Berry he’d be coming in hard at home the next chance he got. Sure enough, later that same year Dixie found himself rounding third and bearing down on Berry. There were three problems for Dixie with this scenario. Berry outweighed Dixie by ten pounds, he was wearing protective catcher’s gear, and he knew Walker was coming to get him. With the element of surprise gone, Berry braced himself for what was a violent collision at the plate. Not only did Berry hold onto the ball but it was Dixie who ended up getting injured on the play, suffering a separated shoulder that would keep getting dislocated for the rest of the outfielder’s years in the Yankee organization. Fred Walker was born in Villa Rica, Georgia on September 24, 1910. 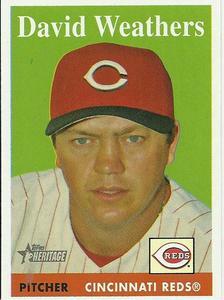 His Dad had been a pitcher with the Senators who went 25-31 during his four years in the big leagues. His Father, who’s real first name had been Ewart, had thankfully been given the nickname Dixie and the son inherited it. The Walker family had baseball in its blood. Dixie Sr.’s brother Ernie had been an outfielder with the Browns and Dixie’s own kid brother, Harry, would one day win an NL Batting title and later become one of the great hitting instructors in the history of the game. The Yankees had purchased Dixie Walker’s contract from a minor league team in 1930. For the next three years, he tore up minor league pitching at every level and the Yankees front office took notice. With Babe Ruth growing older and ornery, New York needed to groom his replacement and by 1933, the prime candidate for that role had become Walker. He was given his first real chance to show what he could do at the big league level in 1933. Yankee Manager Joe McCarthy played his rookie in center field and often batted him lead-off. Walker was just 22-years-old at the time and responded with a strong season. In 98 games of action, he hit .274 and proved his left-handed swing was well-suited for Yankee Stadium by drilling 15 home runs and driving in 51. But he also tore up that shoulder and McCarthy had little respect or use for players who would not play hurt. Knowing that, Walker tried to play through his injury, which only exasperated his condition. He could no longer throw the ball and if you played center field for a big league club you had to be able to throw the ball. As Walker tried to play through his shoulder problems in the Minors, the Yankee front office began taking notice of this DiMaggio kid playing out in San Francisco. He had put together a 61-game hitting streak in the Pacific Coast League but most big league teams were leery of him because he had suffered some knee injuries and the rumor was, he could not stay healthy. The Yankee’s minor league development guy was the tight-fisted genius, George Weiss. With few other suitors to compete against, Weiss was able to purchase the future Yankee Clipper’s contract for just $25,000 and as soon as he did, Walker was no longer the chosen one to replace Ruth as the next Yankee franchise outfielder. The Yankees then traded Dixie to the White Sox where he once again dislocated that bum shoulder. That’s when it was determined that surgery was Walker’s only option and in what was a pretty experimental procedure back then, a bone graft was done to rebuild a chip in his shoulder and from that point on in his career, it never dislocated again. 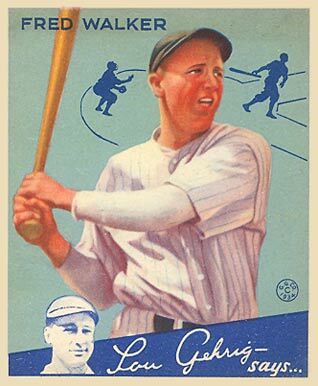 He hit .302 for the White Sox in 1937. He got traded to Detroit the following season and hit .308 in MoTown. But he hurt his knee while playing for the Tigers and when Detroit’s front office told him he needed another operation, Walker refused and was sold to the Dodgers. Dixie would spend the next nine seasons becoming the star outfielder for “Dem Bums.” He would average .311 during that time and win the 1944 NL Batting title in the process. Dodger fans adored him until he threatened to not play if Jackie Robinson was made his Brooklyn teammate. His prejudice got him banished to Pittsburgh, where he played out his career and retired after the 1949 season. Walker shares his September 24th birthday with former Yankee pitcher Jeff Karstens and former Yankee DH, Erik Soderholm. When it came to baseball, nothing came easy for Johnny Sain. He was born in Arkansas in 1917, five months after America’s entry into WWI. His dad was a pretty good semi-pro pitcher in his day and a patient father, who took the time to teach his son the basic mechanics of pitching, including how to throw a curve ball. Although he was a physically big kid ( 6 feet 2 inches tall and close to 200 pounds) Sain never developed a fastball and as a result failed to impress any big league scouts during his high school pitching career. 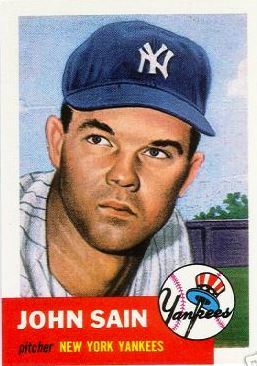 In fact, when Sain’s dad invited fellow Arkansawyer, Bill Dickey to talk to his son about a Major League career after one of Sain’s high school games, the Yankee catcher refused because he didn’t want to have to tell the youngster that he didn’t have what it would take to pitch in the big league. Despite the lack of interest from big league teams, Sain persevered and got himself signed to a minor league contract in 1935. Seven years later, he made his big league debut with the Boston Braves, one of baseball’s worst teams at the time. That Brave team was managed by Casey Stengel and the “Ol Perfessor” wasn’t shy about using his rookie right-hander, getting Sain into 40 games that year as both a starter and reliever. Sain finished his 1942 rookie season with a 4-7 record and then enlisted in the Navy and went to aviation school. He eventually served as a flight instructor and later credited his flight schooling as a key to his later success as a pitcher because it forced him to improve his concentration skills and he applied what he learned about aerodynamics to improving his curve ball. He returned to the Braves in 1946 and went 20-14 with an outstanding 2.21 ERA. By 1947, Warren Spahn had joined him as a Braves’ 20-game winner and a year later, the dynamic mound duo pitched Boston into the World Series and the rally cry of “Spahn and Sain and pray for rain!” was born. The Indians beat the Braves in that Fall Classic in six games, but Sain did beat Bob Feller, 1-0 in a classic pitchers’ duel in Game 1. He also pitched a second complete game in Game 4, losing a 2-1 heartbreaker. In 1948, Sain achieved the 20-victory mark for the third season in a row. After slumping to 10-17 the following year, he won 20 again for Boston in 1950. But Sain had developed a sore shoulder during the 1949 season, trying to learn how to throw a screwball. By 1951, it looked as if his career might be over, when he slumped to 5-13. At the end of August during that ’51 season, the Braves jumped at the opportunity to trade “The Man of a Thousand Curves” to the Yankees for New York pitching phee-nom, Lew Burdette. Boston also received $50,000 badly needed Yankee dollars in that deal. In New York, Sain was reunited with Stengel, his first big league manager. Casey and Yankee pitching coach Jim Turner made the great decision to return Sain to the same role he had filled during his rookie season with the Braves, a reliever and spot starter. He went 11-6 with 7 saves in 1952 and 14-7 with 9 saves in ’53. The Yankees won World Series rings in both those seasons and Sain’s versatile pitching was a big reason why. In ’54, the Yankees converted Sain into a full-time reliever and he led the AL in saves with 22. In 1961, Yankee manager Ralph Houk would hire Sain as his pitching coach and he would perform brilliantly in that role. It was Sain who convinced Houk to go from Stengel’s five-man pitching rotation to a four-man version and Whitey Ford credits that move with rejuvenating his career. In his best selling book, “Ball Four,” Jim Bouton called Sain “the greatest pitching coach who ever lived!” Sain left the Yankees after the 63 season but would later serve as pitching coach for both Minnesota and Detroit. He developed a reputation for being tremendously loyal to and protective of the pitchers under his care. In addition to Yankee hurlers Ford, Bouton and Ralph Terry, he is also credited with helping Denny McLain, Mudcat Grant, Jim Kaat, Mickey Lolich and Earl Wilson become 20-game-winners. Sain was also one of baseball’s best hitting pitchers during his playing career, compiling a lifetime .245 batting average and striking out just 20 times in over 800 career at bats. Sain was born on the very same day as this Hall-of-Fame Yankee shortstop and also shares a birthday with Robinson Cano’s predecessor as Yankee starting second baseman and this one-time Yankee reliever from the 1990’s. I thoroughly enjoyed listening to the Scooter do Yankee games. In fact, his memorable on-air birthday wishes to Yankee fans inspired this Blog. One evening toward the end of his career in the Yankee booth, Rizzuto was going through his list of birthday announcements when the late Bobby Murcer interrupted him by asking when he was born. The Scooter didn’t answer the question so I grabbed my copy of the Baseball Encyclopedia and looked it up. Then I looked up Murcer’s, Mantle’s, Mattingly’s etc. As I did so I began to wonder if I could find a current or former Yankee born on each day of the calendar year and the task became my hobby for the next few months. I never saw Rizzuto play the game but I grew up listening to him. I loved the fact that he was an unabashed “homer” rooting the Yankees on through good times and bad. His stories were priceless, entertaining me almost as much as a Yankee victory. I loved the one he told about spending his wedding night in a round room so he couldn’t corner his wife, Cora. Or when Bill White would ask him if he thought traffic would be bad after the game and Rizzuto would answer. “I don’t know White and I don’t intend to find out.” Or when a batter would hit a pop up and Rizzuto would say “While that ball’s up in the air Seaver I wanna wish Sophie DeCarlo up in Mt. Vernon a happy 80th birthday.” His induction speech at the Baseball Hall of Fame is a classic. 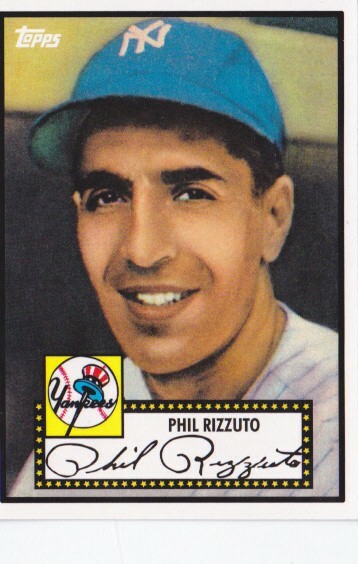 On the field, Rizzuto was one of the most valuable members of the Yankee teams that won five straight pennants from 1949 through 1953. In all he had seven championship rings and he won the 1950 AL MVP award when he reached the 200 hit plateau with a .324 average. He was an expert bunter, base runner and a terrific fielder. The great Ted Williams often stated that Rizzuto was one of the most talented players he had ever seen. I’m glad he made it to Cooperstown while he was still alive. He was truly a Yankee legend. This great Yankee pitcher , this former Yankee second baseman and this one-time Yankee reliever were all also born on September 25th. 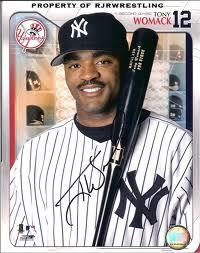 When the Yankees signed Tony Womack as a free agent after the 2004 season, I was not too excited. He had just completed arguably his best Major League season, hitting .307 and smacking 170 hits and helping to lead St Louis to an NL Championship, but he had hit only.182 in that year’s World Series as the Cardinals got swept by the Red Sox and even though he had lot’s of speed, his ability to get on base was far from impressive. Evidently, Joe Torre was not too excited either because by May of the 2005 season, Robinson Cano was the Yankees’ starting second baseman and the only action Womack was seeing was in the Yankee outfield. During his one and only season in the Bronx, Womack hit .249 and had just a .279 on base percentage. He was shipped to the Reds the following December. Even though it did not work out in New York, Womack had a very good 13-season big league career, winning a ring with Arizona and amassing over 1,300 hits. Also celebrating a birthday today is the Yankee legend who inspired this blog, this great former Yankee pitcher and this one-time Yankee reliever.